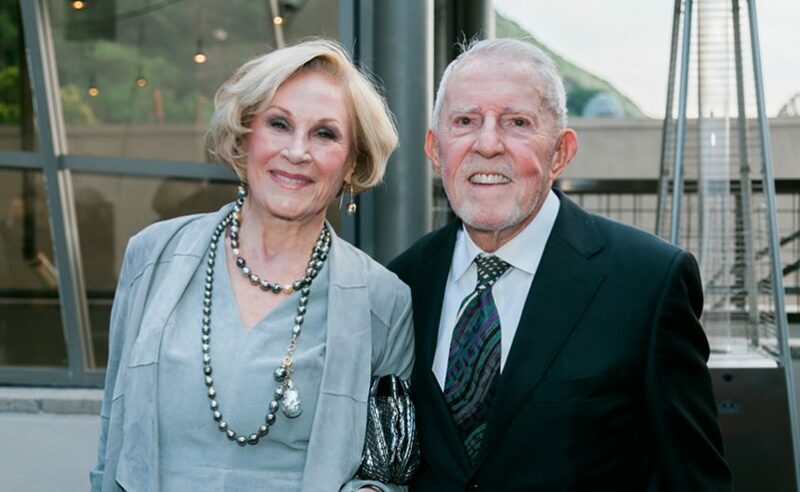 As lifelong supporters of the arts, Suzanne and James Mellor retained dual residencies in Washington, D.C. and Laguna Beach before settling permanently in Laguna in 1996 following James’ retirement as Chair and CEO of General Dynamics Corporation. Their commitment to the arts continued through Laguna Playhouse–James, former board president, and Suzanne, a landscape artist lending her talents to painting sets and as a Playhouse Women founding member. To inspire younger audiences, they established the Mellor Playhouse Tribute Fund. James has served on the board of UCI, while Suzanne served on UCI School of Art’s Advisory Council and was an Orange County Museum of Arts’ Visionaries founding member. Currently, she is a Laguna Art Museum trustee and a member of SCFTA’s Angels of the Arts. 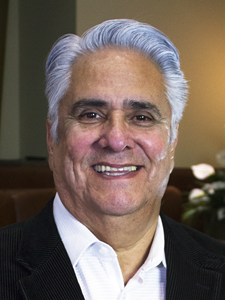 In addition, they both serve on the Laguna College of Art and Design’s Board of Trustees (James as Chairman). They were recently honored by the Laguna Beach Arts Alliance as Individual Arts Patrons of the Year, and by the City of Laguna Beach proclaiming “Mellor Day” in recognition of their gifts to the arts. Orange County United Way’s Women’s Philanthropy Fund (WPF) members work to empower women and children to realize their full potential, to break the cycle of poverty and create generational change. Since its founding in 2002, WPF members have collectively raised more than $35 million from member contributions, events like its renowned Women’s Philanthropic Fund Breakfast and activities that in turn invest in local programs and services. The 100+ members allocate a portion of their annual contributions of $10,000 or more to support programs that focus on self-sufficiency for women and children and lead community efforts around advocacy, collaboration and education on the major issues impacting the county. They are passionate about their work, whether it be volunteering at a food pantry, reading aloud to children at a low-income community school, advocating for policy reform at the state and national level, or funding grants to support life-changing programs in the community. Their grants fund programs and services that give children a strong start, empower youth to become successful and their families achieve self-sufficiency. 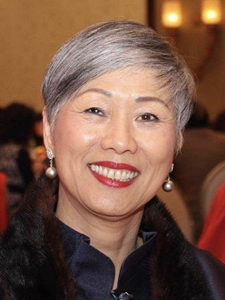 Born and raised in Taiwan, Anne Shih immigrated to the U.S. with her husband in 1979. 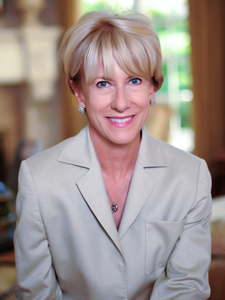 She joined the Bowers Museum’s Board of Governors in 1996 and has been instrumental in its success. She is by far the museum’s #1 fundraiser and through her efforts, the Bowers has organized and traveled eight major Chinese exhibitions to the U.S., including the legendary Terra Cotta Warriors from Xian. She initiated a one-year Junior Ambassador program at Bowers for high school students to learn public speaking, touring techniques and details of the exhibitions, with the students volunteering as docents at the Shanghai Museum at its conclusion. Under her guidance, Bowers membership has grown from 3,000 to 8,000 members, and she has raised millions to support the museum’s exhibition and education programs through the museum’s annual gala. Anne’s exceptional leadership was recognized by her colleagues in 2010 when she was unanimously elected Chairwoman of its Board of Governors. She was awarded the 2017 Ellis Island Medal of Honor for her exemplary community service. The Illumination Foundation is a nonprofit organization dedicated to providing targeted, interdisciplinary services to the most vulnerable homeless population in the county. Since the beginning, it has been the organization’s mission to break or prevent the cycle of homelessness. The organization focuses on innovative, integrated care by collaborating with public and private partners to provide cost-effective housing solutions, workforce training, child development programs, medical care and mental health services for the homeless. 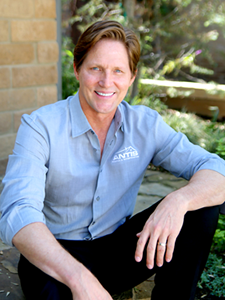 Founded in 2007 by CEO and President Paul Leon, a registered nurse of 16 years, along with CFO and COO Paul Cho, a licensed chiropractor and former investment banker, the foundation was established within the UC Irvine Health Care Executive MBA Program (Cho’s alma mater). Today, Illumination Foundation’s board of directors consists of community leaders in medicine, nursing, social work, information technology and education. The foundation has served more than 29,000 individuals and has developed a multi-step program supported by comprehensive medical and social services. The goal of the foundation is to effectively transition individuals and families to self-sufficiency. 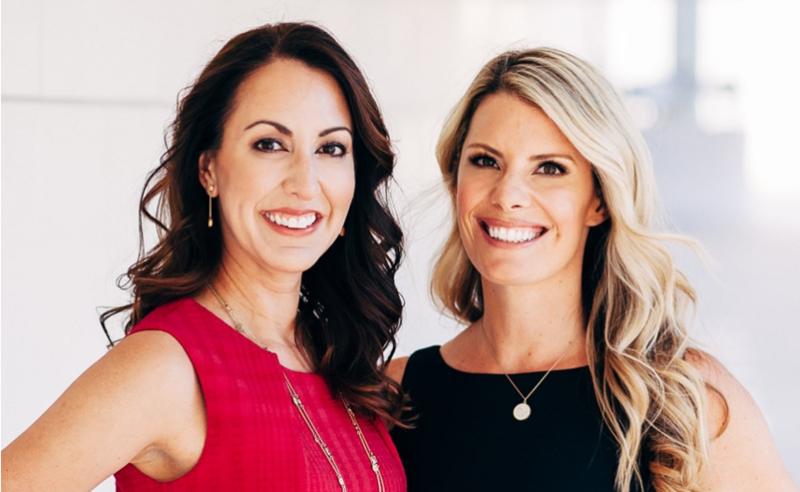 After working at a large law firm for several years, Laurie Rowen and Erin Giglia co-founded Montage Legal Group in 2009. Montage is a network of freelance attorneys with impressive credentials from top law schools and training in prestigious firms, who work remotely for law firms seeking hourly legal assistance. Montage focuses on helping its freelance lawyers find work-life balance and is also dedicated to supporting the community through philanthropic efforts. Laurie is the Chair of the Advisory Board of WHW, and founded WHW’s annual law firm clothing drive, Suits for a Cause, which is going on its eighth year. Erin serves on the Law Alumni Board of USD School of Law and the Orange County Bar Association’s Charitable Fund Board. In addition to their board positions, they have supported their children’s efforts to start a philanthropy club called OC Kids Giving Back, which has raised more than $15,000 for over a dozen non-profits in just a year, including Thomas House Family Shelter, Pacific Marine Mammal Center and Together We Rise. Donated 8 new roofs, 693 hours of labor, with Habitat Orange County. Donated more than 100 roof leak repairs and provided 10 large-scale maintenance projects to low-income families and nonprofits. Championed and received unanimous approval from its industry trade organization – the National Roofing Contractors Association – to make Ronald McDonald House Charities their first ever charitable partner! Gave its stakeholders (employees, customers and community friends) more than 2,300 One OC charitable giving cards. Capital Group, home of American Funds, is proud of its environment where great ideas are allowed to flourish and associates are bound by a common purpose and a shared set of values. Through Capital Cares, the company invests in its associates’ highest convictions with regard to philanthropy and community outreach. Through the Irvine office, Capital Group associates are directly involved with more than 45 nonprofits serving the Orange County Community. These nonprofits are diverse in nature, ranging from well-known arts and culture organizations to small grassroots nonprofits serving vulnerable communities. 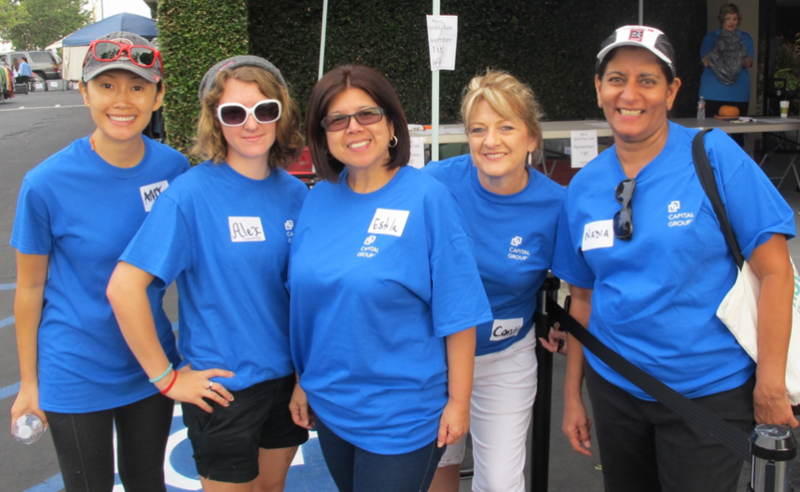 The associates in Orange County trigger more than $1 million annually in donations to nonprofits through the matching, Dollars for Doers and milestone anniversary programs, all based on associates passions and interests. Grace Cross, a 12-year-old with cerebral palsy, works hard to not let her disability define her. She was born 26 weeks premature with a 10% chance of survival and little hope of walking or talking. 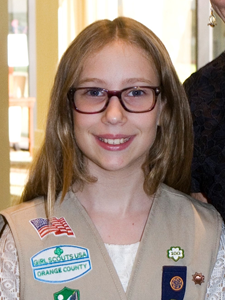 She learned about thinking of others needs through her church’s children’s activities, and when she joined Girl Scouts in kindergarten and became part of the Girl Scout cookie program, she encouraged her customers to donate boxes of cookies. That first year she sold 759 boxes, 50 of which were Cookie Shares, which she donated to the Long Beach Rescue Mission, where her father and brother volunteered. Inspired by a local businesswoman and her own personal desire to help kids and families, Grace researched different charities to donate to. In the last five years, she has donated 900+ boxes of cookies to different organizations, including Olive Crest, Thomas House, Huntington Beach Youth Shelter and Ronald McDonald House. Grace also participates in a Christian dance group called Dance4Joy, which performs for the elderly at several convalescent homes at Christmas and Easter.